Ketosis - What it is and Why You Should Love it! Perhaps you have heard people talking about ketosis and how it helps them lose weight and you wondered what they were talking about. Ketosis isn't some new diet food or exercise plan, simply put; ketosis is a natural metabolic state of the body when you eat a very low carb, high fat diet. Besides losing weight, ketosis has numerous health benefits, even for children! The science behind it can be a little complex, but we are going to break it all down for you here. Ketosis turns your body into a super fat melting furnace! Your body and brain can run on different types of “fuel”. Many cells in the body prefer what is called glucose, or blood sugar, to operate. To get your body to enter ketosis, you consume less than 30 grams of carbs per day. It's that simple. When you consume this low carb diet, insulin levels plummet and fatty acids are release from stored body fat to make up the difference in what you are not eating. This turns your body into a super fat melting furnace! Since you are not supplying to body with carbs, it must get them from another source, which is your stored fat. 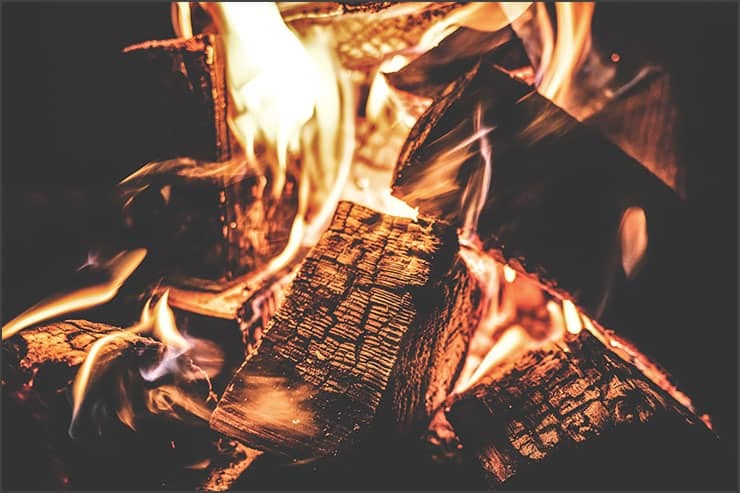 Think of ketosis as a fireplace and your fat is the fuel it is burning! Who doesn't want that?! The fatty acids go to the liver for processing, where they are turned into ketones. Ketones can pass the blood-brain barrier and provide the brain with that preferred fuel. How Can Ketosis Improve Your Health? In addition to losing weight, ketogenic diets have a great many health benefits as well! Although a high fat diet sounds the reverse of everything you have heard, studies show that ketosis improves your risk of developing heart disease, lowering cholesterol levels, and triglycerides. Improves insulin sensitivity by as much as 75 percent. Some diabetics have found that a state of ketosis allows them to reduce or even stop taking their diabetes medication. Always check with your doctor before changing or stopping any prescription medication. Helps children who suffer from epilepsy. Aids in cancer therapy by starving cancer cells of glucose. Some people reported headaches and constipation at the beginning of the diet, but these symptoms went away within a few days. In rare instances, a few epileptic children developed kidney stones. Don't confuse ketosis with ketoacidosis. Ketosis is normal. Ketoacidosis is a dangerous condition that can be fatal without medical intervention. Ketoacidosis is what happens when blood sugar levels reach the extreme, causing your blood to become super acidic. Ketosis is a natural metabolic state that can improve one’s health and helping people to easily drop significant amounts of weight. This diet isn't for everyone, but for the majority of persons, it has powerful benefits that cannot be ignored. Ask your doctor if a low carb diet that will put you in a state of ketosis is right for you!